Elkhorn Farm produces South African proteas, pincushions, leucadendrons and heather; other mediterranean climate flowers; and hydrangeas. All are sold as cut flowers and foliage. We also have young olive trees that will produce extra virgin olive oil when the trees mature. Elkhorn Farm is located on a hillside near the Elkhorn Slough tidal wetlands ecosystem. The farm ​is surrounded by native oak woodlands and the rare Pajaro Manzanita Chaparral plant community. The sandy soils and mediterranean climate of coastal California are ideal for the drought-tolerant flowers, foliage and olive trees we grow. 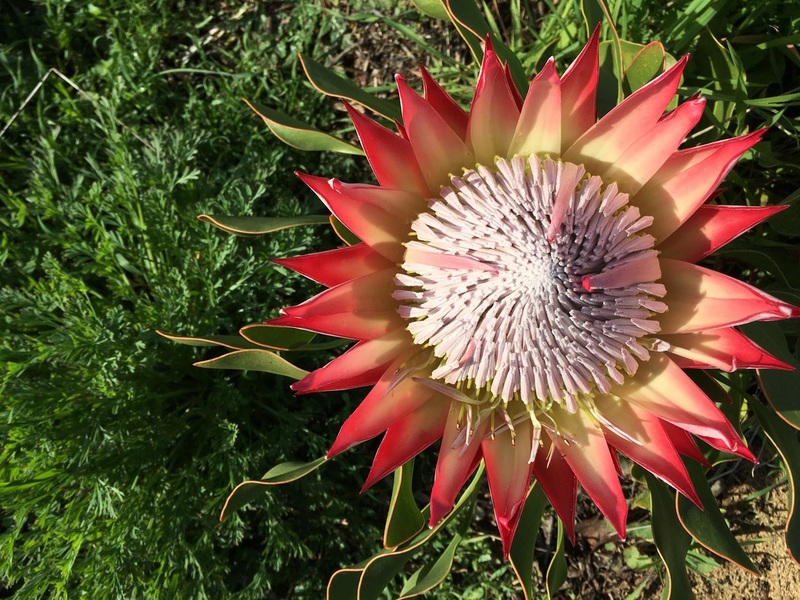 ​Our farm has been growing South African flowers since 1997 and is managed by a family-owned company - Exotic African Flora, LLC. The Elkhorn Slough tidal wetlands at dusk after a rainy winter day. Our home page header photo of Elkhorn Farm was taken in our field of South African heather - Erica hirtiflora - in early March at the end of our cutting season for heather.